Napoli midfielder Jorginho, who is hot in the radar of some of the biggest clubs in England because of his scintillating performances this season, might have just indicated where he would like to ply his trade next season. 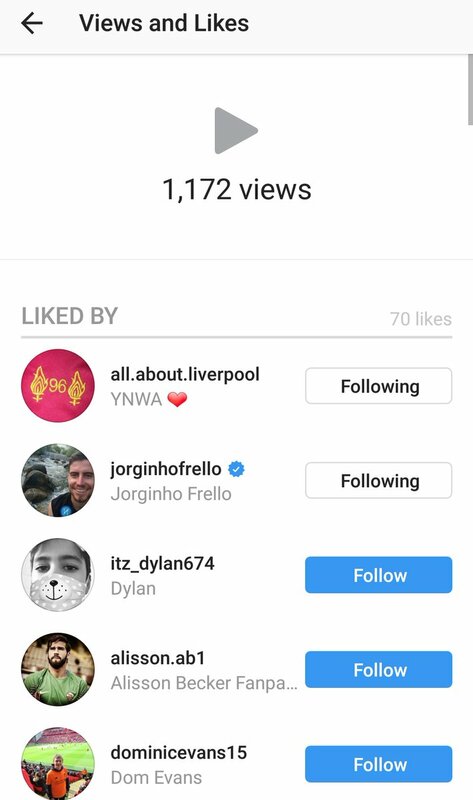 Eagle-eyed fans found an extremely interesting like from the Italian on Instagram and if this bit of social media activity is to be believed, it seems the Napoli midfielder wants in on the action with Jurgen Klopp’s Liverpool next season. 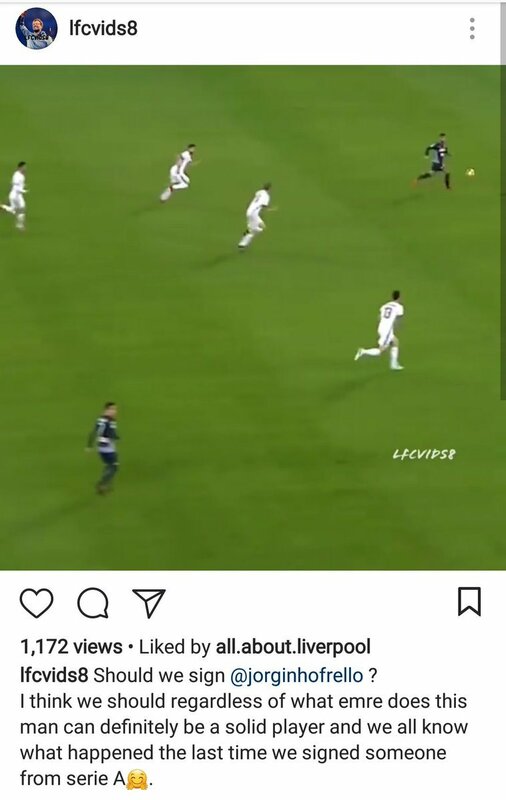 The Reds fans would be excited with this bit of activity from the Napoli man as their last recruit from Serie A turned out to be a bit sensational.